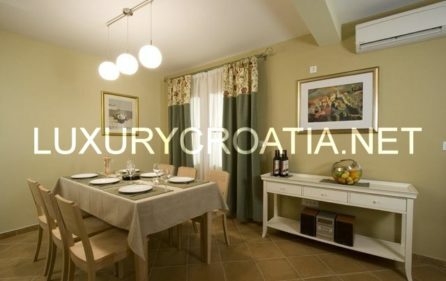 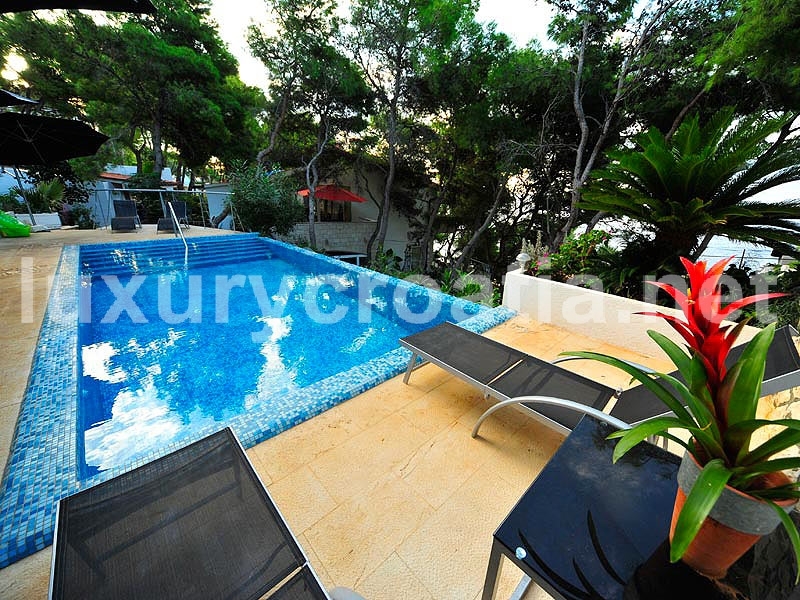 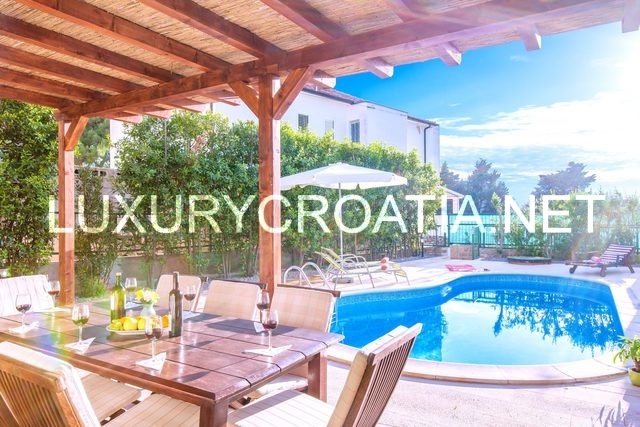 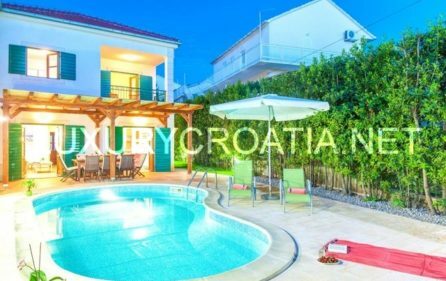 Villa with pool near Hvar town, island Hvar: In the peaceful western part of Hvar town, 50 meters from the sea and small, pebble beaches, are the Hvar vacation villas – four newly-built holiday villas, each with a private garden and outdoor pool. 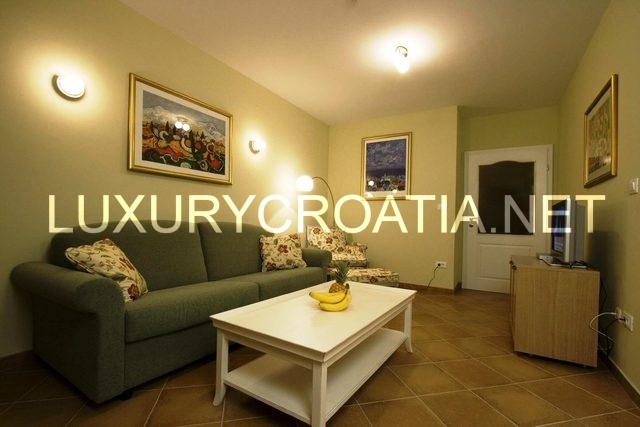 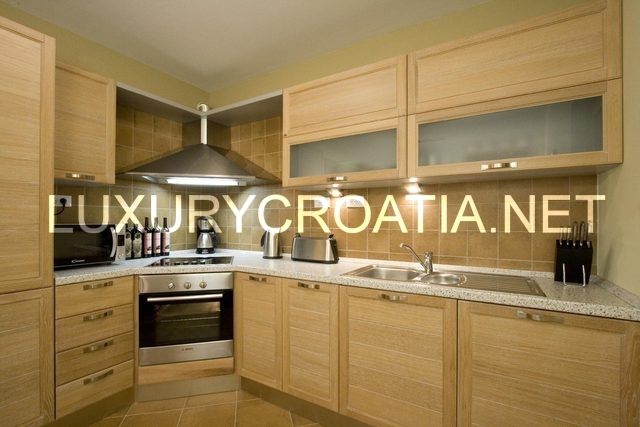 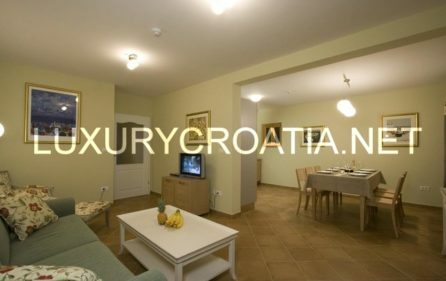 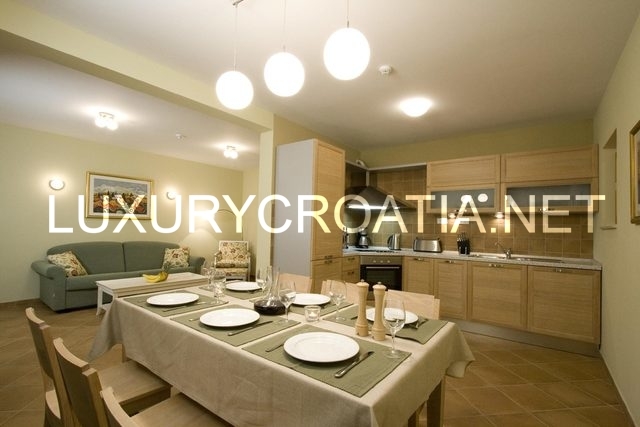 Villa consists of a kitchen/dining area/sitting room, four bedrooms (2 double, 2 twin), three bathrooms and a terrace. On the ground floor there is a spacious open-plan kitchen/dining area/sitting room, with French windows opening onto the covered part of a private garden with garden furniture, which leads to the private outdoor pool. 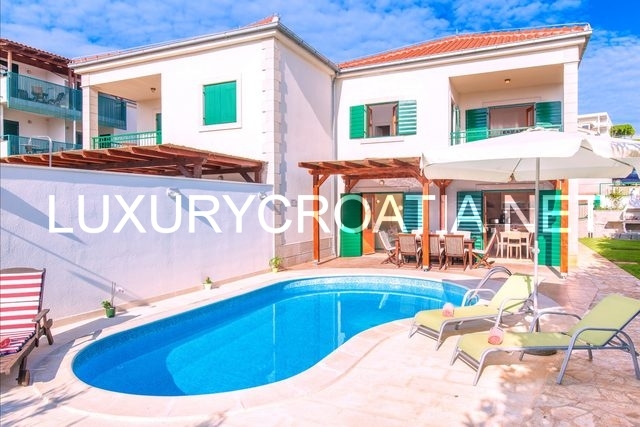 4 bedrooms villa with pool, kitchen/living room/dining room, 2 double bedrooms, 2 twin bedrooms, 3 bathrooms, garden, SAT TV, DVD, HI FI, internet connection, air condition, washing machine.